As a follow-up to Sitting At The Feet of Rabbi Jesus, Walking In The Dust of Rabbi Jesus is Lois Tverberg’s newest offering in regard to understanding the life and message of Yeshua from a Hebraic perspective. The book is divided up into three sections that are all tied together by a central theme – the call to both hear and do the words of Yeshua, by example of the central creed of Judaism found within the Shema (Deuteronomy 6:4ff). Her first section is entitled “Hearing Our Rabbi’s Words with New Ears” and gives us the background behind Yeshua’s emphasis on the Shema as a teaching tool, reflecting on concepts such as turning knowledge into obedience and love into action. 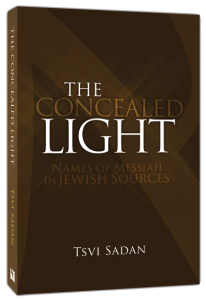 Her second section is entitled, “Living Out the Words of Rabbi Jesus” and focuses on the practical applications of many of the teachings of Yeshua. Her concluding section is entitled, “Studying the Word with Rabbi Jesus” and is sort of the springboard of encouragement for “continued education” within the realm of biblical studies. “Sometimes in their enthusiasm, they take on a whole new [Hebrew] vocabulary that creates barriers between themselves and others. My thinking is that if you’ve discovered insights that bring you closer to God, you’re obligated to share them. To do so you need to be a bridge, not an island. So I deliberately use a more widely known vocabulary” (p.83). “One thing that might help is to admit that the Bible actually is a difficult, ancient text. Growing up on Sunday school cartoons and flannelgraphs, you might get the impression that the Bible is supposed to be like Chopsticks, a childhood melody that’s playable with a few minutes of practice. It’s actually more like a Rachmaninoff concerto, with crashing chords and minor themes that linger through many movements. It might take years of practice to play well, but with even a lifetime of performances, its rich strains never get old” (p.151). “I’m almost embarrassed to share this story when so many desperate prayers seem to go unanswered. But it taught me that God didn’t really need me to fervently imagine a certain outcome before he’d respond. Any time God answers prayer, he does so out of sheer grace, not because our prayers ‘earned’ a response. God is good, powerful, and loving, and whatever he gave, I could still be assured of this most important fact of all” (p.126). While many teachers and preachers tend to focus on the aspect of the chutzpah found within the parable of the Persistent Widow (Luke 18:2-5), Tverberg takes a different approach. Though she touches on the Jewish chutzpah represented in the parable, she couples this with Jesus’ teaching on prayer in Mathew 7:9-11 in which the goodness of God, our Heavenly Father, is contrasted against the goodness of an earthly father. She deftly connects these two passages with their overlapping use of kol v’chomer (a fortiori) argumentation, with the emphasis on the goodness of God. Because, as Jesus states, “If you then, though you are evil, know how to give good gifts to your children, how much more will your Father in heaven give good gifts to those who ask him?” (Matthew 7:11) In these passages, the chutzpah is not the singular point of Jesus’ teaching. In these he reminds us to not give up because of the fact that our heavenly Father is so good and loving that He will surely hear our prayers. When she realized this, she changed her prayers to “Lord, I know that you are good and that you have heard my prayer, and I can trust your answer to my prayer, whether or not you…” (p.126). Her example lead me to do the same, and the answer to something I had being praying about for a while came only a few hours after I had altered my heart and my thinking in relationship to the goodness of God in relationship to my prayer. Tverberg rightly observes that, “The ultimate goal of pagan prayers was to manipulate the gods into serving one’s own personal prosperity. When you think about it, there really is not much difference between ancient pagans and teachers today who claim that you can use prayer to ‘claim your blessings’ or ‘speak prosperity into your life.’ Any time you try to coerce God into doing your bidding, so that he’ll pad your pocketbook and expand your stock assets, you’re treating God the same way that pagans treat their gods, as a tool to serve their own ends… The key seems to be that you humbly come to him as your heavenly Father, rather than ordering him around as your servant” (p.126-127). Her insights are more than mere academic acrobatics. They are filled with practical application and ramifications. 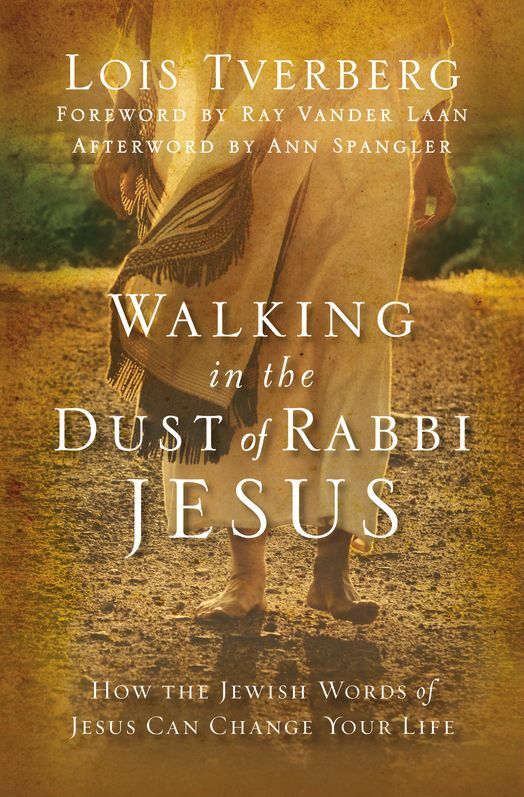 If you would like to begin understanding what it means to follow Jesus from a Hebrew perspective, Walking in the Dust is a delightful place to start this journey. This second offering on the Jewish context of Jesus from Tverberg is sure to be a favorite in its rich, easily-accessible teachings, its deep insights and its physical beauty. 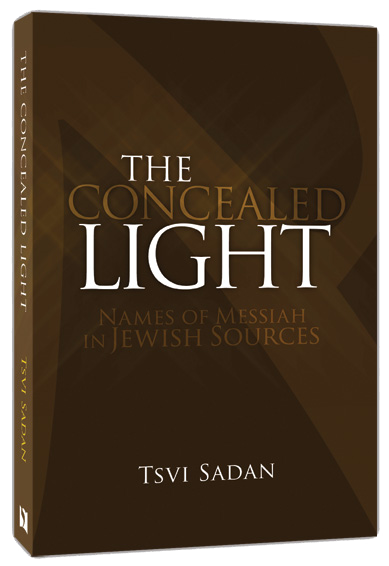 Whether as part of a daily study, a small group study discussion or a gift to a friend, this book is well worth the investment and will provide much discussion on our role as disciples of Yeshua. Disclosure: I received a copy of this book for review from the author. 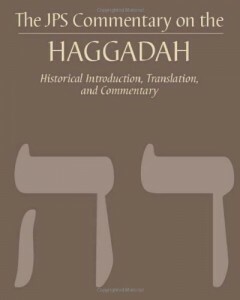 This, the second half of my review of The JPS Commentary on the Haggadah, unfortunately, I have run out of time to highlight all of the interesting information which Tabory puts forth in this succinct volume. We are well into April, and I need to focus my attentions on the April J-BOM review (Visions of the Fathers by Rabbi Abraham Twerski – one of my favorite commentaries on Pirkei Avot). There is, however, one last thing I want to make sure I hit. In essence, the original three questions were changed over the centuries to deal with the change of custom (particularly the absence of the pesach after the destruction of the Second Temple), but the answers continued as a type of curious provocation which were not explicit in their connections to the new questions. I feel this is a reasonable explanation which tends to put in a missing piece of the puzzle surrounding the haggadah. I’m sure I’m not the only one who has struggled to try and make some kind of connection between the Questions and the answers. In my Greek-oriented mind (which has to have a clear connection of all the dots), when I created my own haggadah, I attempted to make a clear connection of a question with its answer. Rather than maintaining the mystique and encouraging questioning, I have formulaically given both the problem and the solution. But this is what we are accustomed. Rather than chewing our own food, we have someone else chew it for us. Although this particular example is innocuous, the overarching snapshot is that this is a sad commentary on our culture and the spiritual state of the majority of believers. There are also a few instances in which Tabory actually rejects interpretations of the text which have traditionally been thought to be written as anti-Christian polemic. It is interesting to hear his opinions on this, because he appears to be unbiased in his approach (he takes the opposition position a time or two as well). The two examples he gives (and defends as not being anit-Christian in origin) are: 1) the de-emphasis of Moses as the redeemer, and 2) the re-interpretation of the Afikomen as the “bread of distress/affliction.” In both cases, Tabory looks at the earliest historical sources (including Philo, an interesting source considering the topic) and refutes (or cast serious doubt on) the interpretation. Lastly, the listing of the various differences between haggadot across cultural and linguistic lines is fascinating and much attention has been spent in tedious comparisons between them. Tabory does a masterful job at presenting these with fine granularity in the areas that are significant enough for examination. If you’re interested in this type of examination of one of the most central texts of Judaism, The JPS Commentary on the Haggadah is a welcome addition to your bookshelf. I have officially jumped on the J-BOM wagon, and I appreciate the call to action by fellow-blogger, Derek Leman. If you are not sure of what this “J-BOM” thing is about, Derek explains it for you here. This is my first installment of my review on the JPS Commentary, be sure to check back for subsequent posts, as well as posts reviewing a new book each month. The JPS Commentary on the Haggadah from the Jewish Publication Society is the first book for all of us J-BOMmers to review. It was very nice to be able to know about this resource prior to Passover this year, as I believe it will enhance my personal experience of Passover. Let me begin by saying that this commentary is not for the average person wanting to find out how to better celebrate Passover. 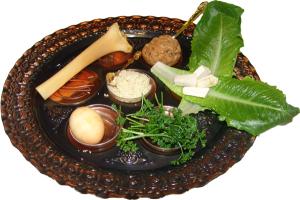 It is for those who have celebrated the feast for several years and have wondered about the origins of all of the strange rites, traditions and expressions found within the haggadah. However, even within this group, it is probably not a blanket recommendation for addition to your reading list. 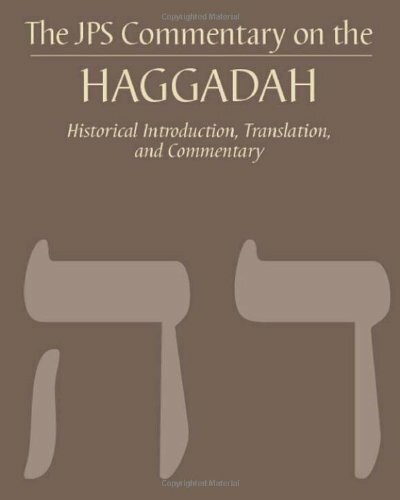 This commentary is a scholarly approach at peering beneath our current text of the haggadah through textual & higher criticism, comparing our current text to many early variations of the text that, although extant, are not in use. Tabory makes note that “the earliest sources that help us understand the modern seder are those found in talmudic literature” (p.1). And although he does make reference to arguments regarding Christian scholarship regarding many related topics, including the Last Supper, he does not consider the Gospels of the New Testament a valid source from which we can learn anything regarding the earliest seder expressions. Maybe this is due to the fact that his position is somewhat opposed to any kind of interpretation of the seder experience from the believing community. Maybe this is due to his not considering the Last Supper of Jesus to be a seder meal, as many have reasonably argued1. Whatever the case, rabbinic literature is his primary source, and the majority of these works appear to come from the Cairo Genizah (in the case of what Tabory terms the “Eretz Yisra’el” tradition) or sources such as the siddurs of R. Amram Gaon and R. Saadiah Gaon (both from the 9th century, and follow the “Babylonian” tradition). In regard to this vast sea of literature, Tabory appears to have a knack for pouring over massive volumes of historical & rabbinic works and compressing the essentials into a very small space. He makes many assertions about the origins of the haggadic elements, however, which may be problematic for the average reader. Yet in his pulling on the sacred threads, he is deeply reverent and respectful of traditional interpretation and understanding. Tabory does a thorough job at peeling back layer upon layer of text to uncover the earliest records of the Passover tradition in a way that is both curious and rewarding. I plan on posting several insights and thoughts brought up by Tabory, but one of the things I would like to note first is regarding the historic nature of the haggadah. In regard to this we can be certain of one thing: The haggadah has never been a static text. 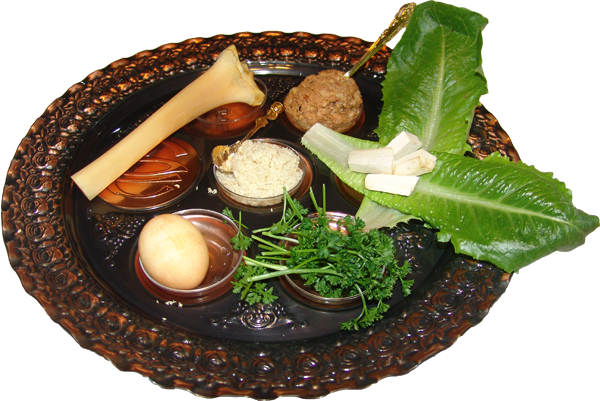 Although our present text represents the current and definitive expression of the seder experience, it has not been without challenge or modifications historically. It has been a very dynamic text; one which has changed throughout the centuries in order accommodate the every-changing circumstances of each generation in order that one may be able to regard himself as though he actually left Egypt, as it says: “He brought us out from there in order to bring and give us the land which He had promised to our ancestors” (Deut. 6:23). Although many might view this as a corruption, or paganizing of the service, it can also be viewed as proof that the haggadah has ever been a living organism, bent on elucidating the purpose of redemption in each generation. 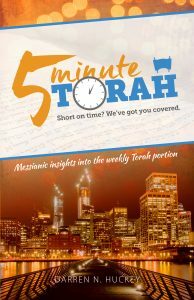 Tabor notes that “the Torah does not prescribe exactly how the post-Exodic paschal meal should be eaten nor does it prescribe any ceremony connected with it” (p. 4). This is noteworthy in that each generation and community have adapted this ritual in some way or another throughout the centuries, not re-creating it as some would have us do2, but adapting it. Personally, I think this fortifies a Messianic position in that we should be able to produce Messianic versions of the haggadah unapologetically, without feeling we have tipped any sacred cows. We are only adapting to our needs to express Hashem’s redemption according to our understanding, the same as each of the previous generations. With that said, let me begin my actual commentary with an interesting note regarding the traditional four cups of wine. In his overview of the seder and its history, Tabory makes an observation regarding these cups. He states, “The texts of the second cup, which embodies the story of the Exodus, and those of the fourth cup, Hallel or songs, are unique to this evening. Some of these texts belong to the tannaitic stratum of the haggadah, having been added between the destruction of the Second Temple (c. 70 C.E.) and the redaction of the Mishnah (c. 220 C.E. ), while other were added even later” (p. 7). Although here, Tabory speaks of texts in association to the additional cups3, I believe we might also be able to deduce that these cups may not have been in use during this time either. 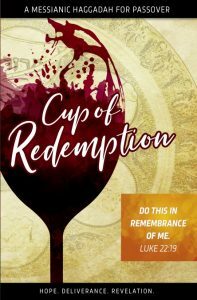 Thus, we have a better explanation of why it appears that during the Last Supper Yeshua only drinks from two cups, rather than the traditional four. Another interesting note that seems obvious, but I have failed to recognize it until he brought it out, is the fact that the Maggid (the telling of the Exodus) and the Shulchan Orech (the actual Passover meal) are really not connected. The Maggid actually takes place prior to the meal, rather than surrounding or in relationship to the meal. This is due to the post-Temple era in which the modern seder evolved. Since there was no lamb to be the focal point of discussion for the evening, the discussion naturally shifted to the expressions of redemption that could be represented tangibly in the evening. 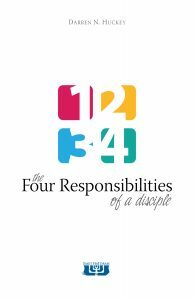 Hence the four cups representing the four4 expressions of redemption found in Exodus 6:6-7.